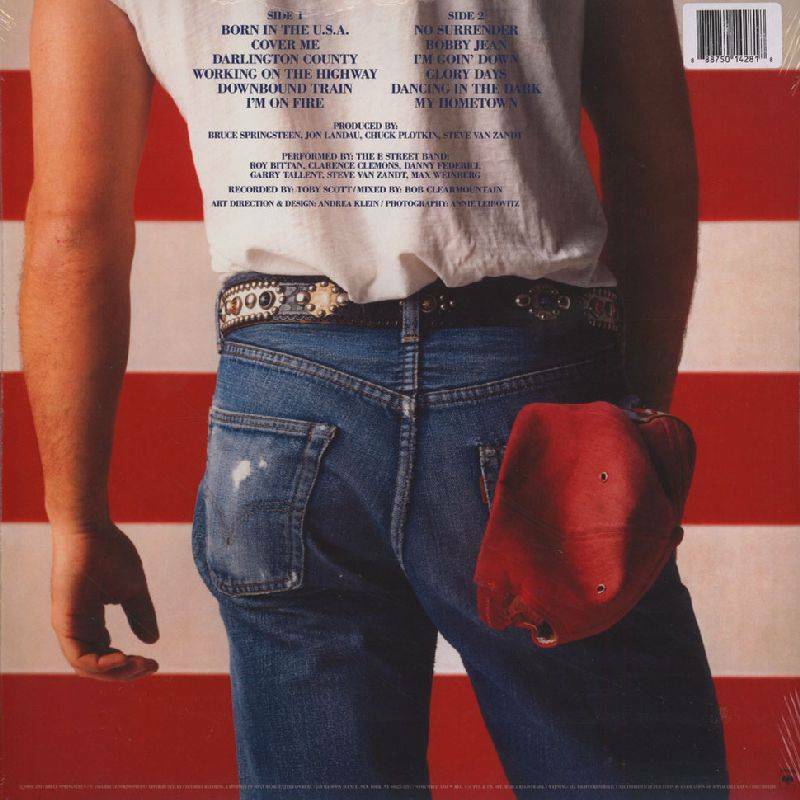 Home Born in The U.S.A.
2015 reissue on 180g LP -1984s Born In The U.S.A. fincluding “Dancing In The Dark,” “Glory Days” and “I’m Goin’ Down,” and the album became 1985’s biggest-selling LP, spending 84 weeks in Billboard’s Top 10. 2015 reissue on 180g audiophile vinyl LP remastered for Record Store Day 2015-Another thrilling about-face in Bruce’s unpredictable journey through rock and roll, Born In The U.S.A. features some of the most radio-friendly performances in Springsteen’s entire discography, which brilliantly disguise much of the emotional turmoil simmering underneath (case in point: the anthemic title track, a harrowing tale of a Vietnam veteran that Ronald Reagan attempted to co-opt for his presidential re-election campaign). Altogether, Born In The U.S.A. amassed seven Top 10 hits, including “Dancing In The Dark,” “Glory Days” and “I’m Goin’ Down,” and the album became 1985’s biggest-selling LP, spending 84 weeks in Billboard’s Top 10. A1. Born In The U.S.A.